The Ontario Liberal caucus paid the spouse of a top aide to Dalton McGuinty $10,000 to wipe computer hard drives in the premier's office, police alleged in court documents released Thursday. 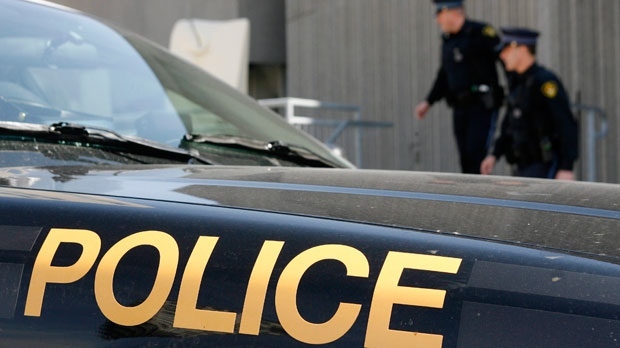 The information used by Ontario Provincial Police to obtain a search warrant that was executed in November at a provincial government cyber security office in Toronto was made public after media lawyers requested it be unsealed. The warrant is part of an OPP investigation into deleted documents on the Liberals' decision to cancel two gas plants prior to the 2011 election, at a cost to taxpayers of up to $1.1 billion. Computer expert Peter Faist was asked by his spouse, Laura Miller, "to wipe off personal data on approximately 20 desktop computers in the premier's office," alleges Det.-Const. Andre Duval in his application for the warrant. "Faist was under the impression that Cabinet Office was aware of his presence and the work requested of him," wrote Duval. "He was paid an amount of $10,000 by the Liberal caucus for his work." Miller was McGuinty's deputy under chief of staff David Livingston, who is being investigated by the OPP for alleged breach of trust. No charges have been laid, and Livingston has insisted he has done nothing wrong. Lawyers representing Miller and Faist said their clients also did nothing wrong. The opposition parties said the court documents were proof the Liberals used the majority they won June 12 to shut down legislative committee hearings into the cancelled gas plants before Faist could be called to give damning testimony. "It really tells the tale of why the premier and the government was not in any way shape or form allow the truth to come out," said Progressive Conservative house leader Steve Clark. "We're seeing what many of us feared was happening was that it was the Liberal party using taxpayers' dollars for their own politically-motivated decisions." The New Democrats said the Liberals on the justice committee voted to shut down the public hearings because they knew more damaging testimony would come from Faist and Miller. "Premier Wynne and the Liberals have to come clean, and the only way we can get to the truth is to make sure these people testify," said NDP house leader Gilles Bisson. The Liberals issued a statement saying that Faist's services with the party were terminated last March, after Wynne became premier. "The ITO released today clearly states that staff in Liberal Caucus Service Bureau were not aware of what specific work was done by Mr. Faist, beyond IT services," said the party statement. The documents show Faist's company was paid $224,000 by the Ontario Liberal Party and the Liberal caucus service bureau between June 2010 and March 2014. The search warrants served last month sought the entire email boxes and backup tapes for Livingston and Miller from May 2012 until Feb. 11, 2013, the day Kathleen Wynne was sworn in as premier, replacing McGuinty. Duval alleges in the court application that Livingston allowed a non-government employee, Faist, to use a special administrative password to install and use software to wipe data on 24 computer hard drives in the premier's office. Court documents from an earlier search warrant served at another Ontario government office in Mississauga last February alleged that Livingston brought Faist in to erase files from computers despite concerns raised by the secretary of cabinet, Peter Wallace, the province's top civil servant. "Mr. Wallace was concerned by this request (for an administrative password) since it could potentially be used to destroy or alter data," wrote Det.-Const. Duval. Wallace's deputy, Steen Hume, told police that he had warned Livingston that it was "not normal" to bring in Miller's life-partner and give him an administrative password for computers in the premier's office. "That's really stupid because it compromises the former premier the integrity of his office in a way that is quite unfortunate," Hume told police. "That is a judgment call that they chose to make. It is not something we can protect them from." Ontario's privacy commissioner and the OPP both concluded that Livingston sought out advice from the government's chief information officer and others on how to permanently wipe data from computers. The police have managed to recover some emails from the deleted hard drives they seized, including one where Livingston instructs staff in the premier's office to wipe emails and keep as few records as possible. "Nothing is more confidential than talking rather than writing," Livingston wrote to Miller and other senior Liberals in the premier's office in August 2012. "He learned that if emails are double deleted, they cannot be retrieved," wrote Duval. "He also learned that back-up tapes in the premier's office have never been used to satisfy a freedom of information request." McGuinty, who was interviewed by police last April, said staff in his office kept few records. "Mr. McGuinty took the opportunity during the interview to speak about the overwhelming verbal nature of communications inside his office,'' Duval wrote last spring.